It remains to be seen if and when we get an official announcement from the City Council, but yesterday 12:00 was the deadline for bids for Plymouth Citybus. It is widely expected that the two final bids will be from Stagecoach and Go Ahead Group. A short while ago Omnibuses Blog ran a quick poll asking the question 'who poses the greatest threat to Ugobus? Stagecoach, Go Ahead or the status quo of Citybus on their own. Not surprisingly just over two thirds saw Stagecoach being the greatest threat. Stagecoach Devon are already in competition with First in North Devon having made a big move into the area a few years ago. 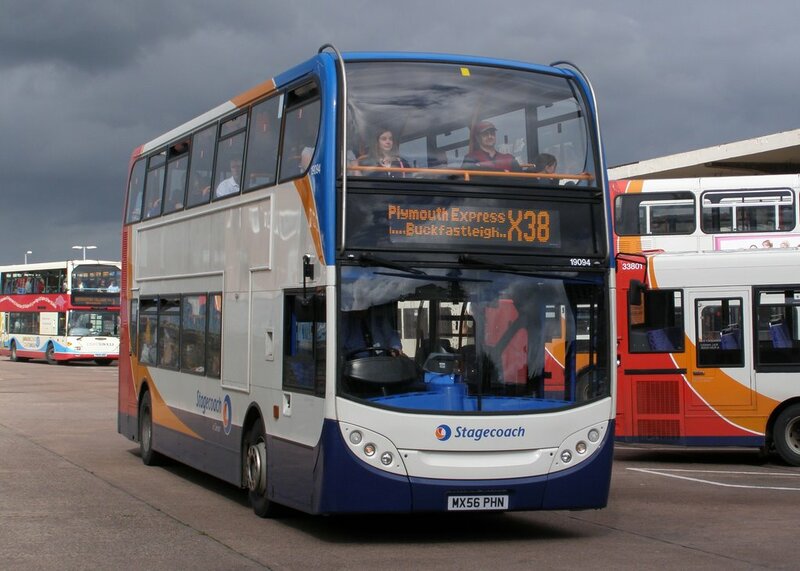 There have also been spats between the two on the Plymouth - Torbay corridor, which most observers felt was going Stagecoach's way until they unexpected pulled their Plymouth - Paignton route. Having a base in Plymouth would fit very well with the Exeter based Devon fleet. The company would be able to make fairly easy savings by centralising many of the backroom support services, and possibly even things like maintenance and repairs with Milehouse being well placed to pick up work from within the enlarged company. Of course any savings like this would possibly seem some non driving jobs being lost too. Sadly this is likely to happen who ever takes the company over as they strive to make savings. From a passengers viewpoint Stagecoach operation in Plymouth will bring benefits with greater availability of through tickets across the group. With Stagecoach already having agreements with Western Greyhound in Cornwall it makes a Stagecoach Day Explorer even more useful. You could also see the company reinstating the link between Plymouth and Torbay. 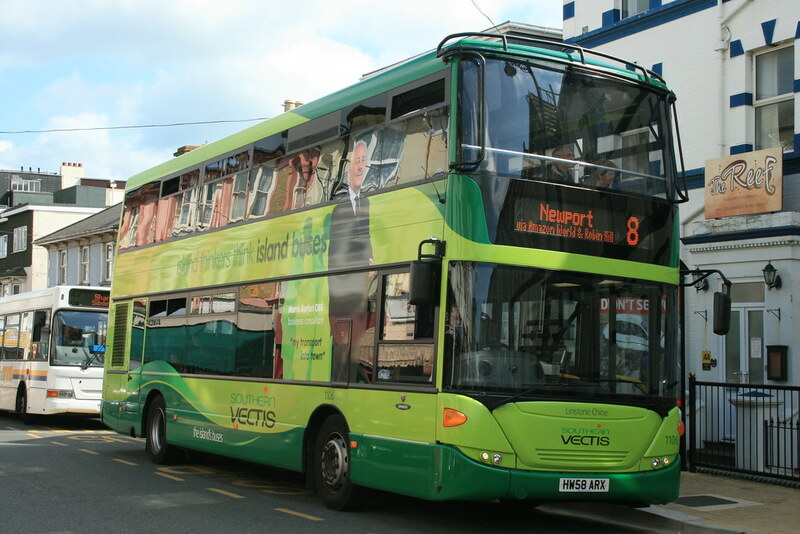 We would almost certainly see investment in new buses into Plymouth. New double deckers would be nice. Stagecoach being big buyers of Alexander Dennis Enviros. Sadly any new buses would be in Stagecoach livery so we would see the end of the Citybus red livery. Slightly under two-thirds felt that Go Ahead would offer the city and its residents a better service overall. Go Ahead seems to be the enthusiasts favourite from what I can gather across the groups. They have shown impressive levels of investment in their fleets with lots of new Scania double deckers entering service in their Southern England fleets from Brighton to Wilts and Dorset and Southern Vectis on the Isle of Wight. They also maintain good strong local identities in their fleets rather than a standard group livery. There is no reason to suggest this would be any different for Plymouth so the Plymouth Citybus 'brand' would almost certainly continue in some form or other. For Go Ahead there is probably less scope for savings in maintenance and repairs at least as Plymouth would remain a separate fleet with no near neighbours within the group. Of course, we may all be wrong and find that another group has bid, or even less likely that the council decides not to sell, but the smart money is on Citybus going to either Stagecoach or Go Ahead. As for me? Well if it has to be sold, my heart says Go Ahead but my head says Stagecoach! intersting times for Stagecoach as I live in South Somerset and I am watching the steady growth of Stagecoach at the expense of firstgroup. If Stagecoach do get Citybus i am sure it will lead to an intensiving of the current bus war in Plymouth. First have recently made a big expansion into urban Plymouth routes in competition with Citybus, with special rate fares, for e.g the next 2 weeks you can travel in the city for £5 for an unlimited weeks travel..Citybus can not compete with this at all!!! I am sure First will be well placed to take on Stagecoach as they are well placed in Plymouth to do so. Their new services already seem to be doing well to me at the expense of Citybus.